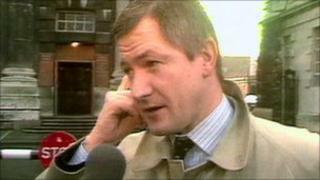 The prime minister says a public inquiry into the state's involvement in the assassination of solicitor Pat Finucane would not produce a fuller picture "of what happened and what went wrong" than the review he commissioned from Sir Desmond de Silva QC. But by publishing on Thursday the review containing hundreds of secret and confidential documents, Mr Cameron seems unwittingly to have strengthened the campaign by the Finucane family and others for a public inquiry. Wade through the 829 pages of the review, and it becomes clear why he said it discloses "shocking levels of state collusion". · Agents working for MI5, RUC Special Branch and Military Intelligence were participating in criminality, presumably including murder. · Neither a proper legal framework nor even guidelines to control the criminality of what are known as these "participating agents". · The Northern Ireland Office was "not overly enthusiastic" about attempts by senior RUC and MI5 officers to introduce guidelines "despite representations at the highest levels." · This issue was also considered extensively at cabinet level and ministers were clearly aware that the agents were being run without guidelines. The director general of the MI5 raised it with the Prime Minister Margaret Thatcher in 1988. All this was a "wilful and abject failure by successive Governments" to run agents lawfully. MI5 also comes in for some unprecedented scrutiny and criticism over many pages of close analysis. We even learn that MI5 disseminated propaganda directed against the IRA "within the broader loyalist community". Some of this "encompassed the dissemination of information referring to Patrick Finucane". De Silva is coy about this and how it was done, referring only to "conduits". In the febrile sectarian climate that existed in the late 1980s, feeding the UDA with anti-IRA propaganda was pouring fat on the fire. Could it have been through MI5 agents within the UDA (and there were several) being fed with ideas and information? Might, for example, a spoof edition in December 1988 called "An Phobcrap" parodying the IRA's weekly newspaper An Phoblacht have been one of these so called "propaganda initiatives"? The caption read: "IRA volunteer Patrick McGeown, along with IRA solicitor Pat O'Cocaine, walks free from Belfast's Crumlin Road Courthouse after miraculously beating the rap due to 'lack of evidence'." McGeown had been charged with helping to lynch two Army corporals. De Silva says he is sure the propaganda was "reaching loyalist paramilitaries" and MI5 began to become concerned that this was treading on "dangerous ground". We also learn that in 1990 very senior army officers and MoD officials provided "highly misleading and in parts factually inaccurate advice " to the then Defence Secretary Tom King about their agent Brian Nelson who had helped target Finucane. In effect, as one official put it, the MoD was painting Nelson as "Mother Teresa" to stop him being prosecuted after he had been arrested by the first of three inquiries into collusion by John Stevens, later the Metropolitan Police Commissioner. When it came to Military Intelligence, says de Silva, the system "appears to have facilitated political deniability… rather than creating mechanisms for an appropriate level of political oversight". This seems partly to explain why de Silva thinks that far from there being an overarching State conspiracy to murder Finucane, in fact ministers did not know how much criminality the army agent Nelson was being allowed to engage in. Still, that's pretty damning isn't it? For it means there was a complete breakdown between officials and ministers over the army's role in the so called "dirty war" being waged to counter an insurgency within the United Kingdom. And surely de Silva's other finding, that ministers also knew generally that senior RUC and MI5 officers were asking for clear guidelines to put their agents on the right side of the law, should have inspired ministers to ask more questions? If all this doesn't merit a public inquiry, one begins to wonder what does? Contrary to what Mr Cameron suggests, there is no telling what those involved involved in this affair might divulge under relentless cross examination. John Ware was a BBC reporter whose 2002 Panorama "A Licence to Murder" disclosed police and army collusion in the murder of Pat Finucane.